I was recently inspired to sign up for an Instagram account in order to regularly (?) share pictures of family and ministry events. I’ve started an Instagram account to post photos of family and ministry activities. A couple of times during the last week I stopped by Narnia to help Jana with some odds and ends in preparation for the new school year. I wish it had occurred to me at least once to snap a photo and post it to Instagram so that people might think to pray for the beginning of the school year. I guess I’m not so good at that kind of short-form, informal communication. 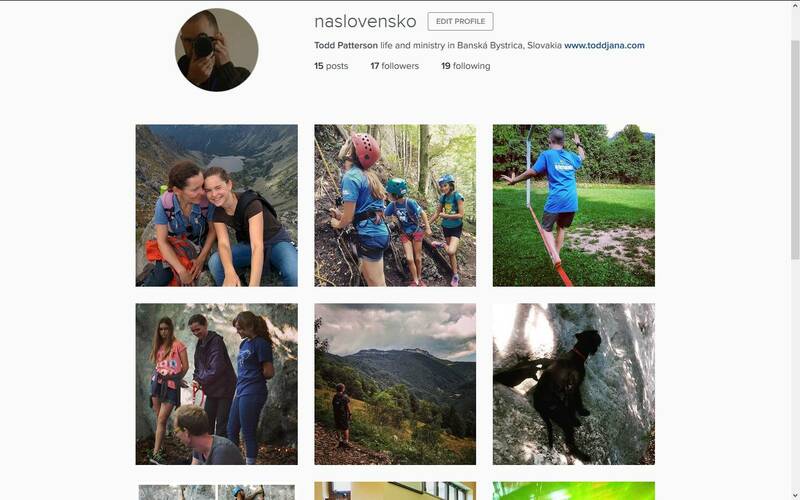 So far I’ve just been posting shots of our family on hikes or climbing (where I almost always have my camera along) but by opening this Instagram account I’m hoping I’ll start thinking of it more often and be a little more creative about how I remind you to pray for us. So if you feel so inspired, join us on Instagram or follow us on facebook or twitter.